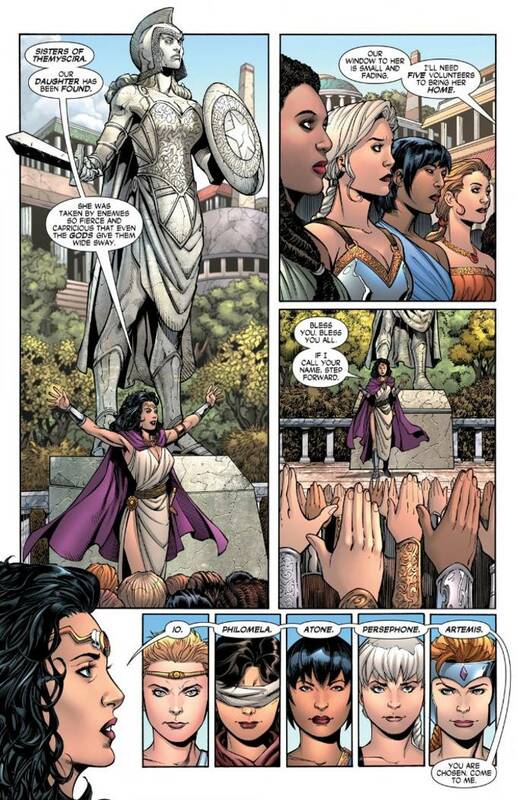 The good news is that Diana's sisters on Themyscira have finally located just where in time and space their princess has become lost. The bad news is that their window of opportunity to save her is limited. Now, as a band of Amazons enter the world of Hyboria, Diana and Conan must struggle to survive a while longer as they plot just how two shall save many from a duo of blood-thirsty war goddesses. There is little I can say about this issue that will not spoil it's rather shocking and historic conclusion. I can say that if you're a fan of Wonder Woman's supporting cast and miss the many Amazons that used to be a regular part of the series... or wished we had seen more of the Amazons in the Wonder Woman and Justice League movies, you would do well to check out this issue. Simone and Lopresti are knocking it out of the park and if there's any justice in this world they'll be brought on to handle Conan's adventures when he moves to Marvel Comics in 2019.